Bliss Brides are the most beautiful brides and we are so excited to be a part of helping you feel amazing on your special day! Our makeup boutique is a space designed to curate the most flawless makeup applications giving you one less thing to worry about on your wedding day! Deciding the look for the big day ahead of time is key to your peace of mind. Your trial will allow us to spend time together, talking through your ideas and then trying them out so you are able to see what you like and what you don’t. It provides quality time with your makeup artist so you can feel comfortable and bounce ideas around while having fun with our makeup collection. Your wedding is such an exciting event and we will be sure to leave you feeling confident and beautiful because after all, Bliss brides are the most beautiful brides! Our makeup artists will create a stunning look that is perfectly suited to the style of your wedding, customized for you and your special day. We are here to make this moment special and fun and will put you at ease with our flawless makeup application leaving you ready to say I do! Are you ready for the best looking wedding party in town? Our makeup artists will create customized looks for your bridesmaids, maid of honour, and mother of the bride and groom that will match your wedding and style perfectly while leaving a lasting impression well beyond the midnight buffet! As soon as you know your wedding date, it’s time to book your spa appointments so you can check one thing off your list and have peace of mind for your makeup trial, wedding day makeup as well as any other spa treatments including manicures, pedicures, facials and hair removal. We recommend scheduling your pedicure and waxing appointments about 3-5 days before your wedding and your nails a day or two in advance. We have created skin treatment plans that will help you achieve your skin goals for a flawless glow on your wedding day! 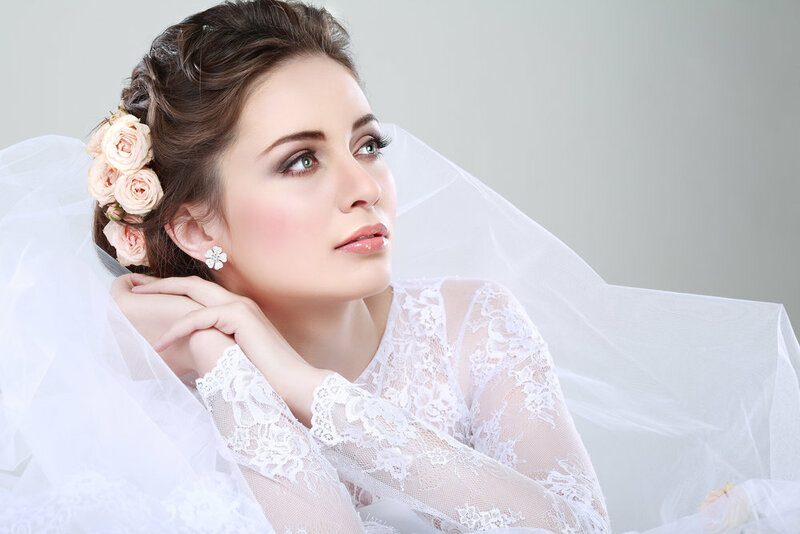 For your best wedding day glow, we recommend starting your treatments at least 3 months in advance for our bridal skin rejuvenation programs, which will provide you with a flawless wedding day look! We offer the perfect skin prep plans which include exclusive promotional pricing just for brides! For a la carte skin treatments, your reservation should be no less than 1-2 weeks before your wedding date. Be sure to schedule your entire wedding party for their makeup and spa services. Make it a party by reserving a bridal party spa day for all your bridesmaids, and mothers of. We offer special promotions when you book your wedding services together. We have designed amazing bridal packages catered to get you and your entire wedding party prepped for the big day! More and more men are seeking professional spa treatments and there's no better reason than a wedding to get your groom and his best men ready for the big day! We have packages that will be sure to impress even the manliest of grooms! If you have a look in mind for your makeup or nails, bring us the pictures that inspire you the most! It will help us get a better understanding of your desired look. Ok, ok, we didn’t really think you’d forget about such an important thing but we couldn’t help but throw it out there! We are in partnership with Fortelli Salon Oakville and highly recommend their talented team of stylists. The bonus is, they are right next door so you can have your makeup and hair services in one location!